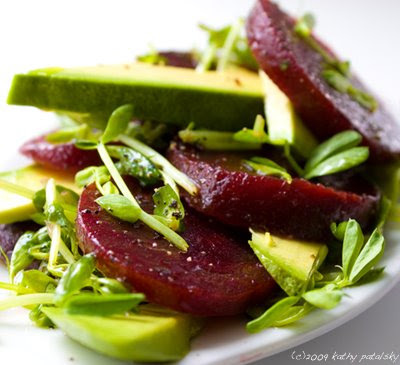 Avocado Beet Pea Shoot Salad. Super Simple Recipe. What are Pea Shoots? Pea Shoots are the leaves of the garden pea plant. 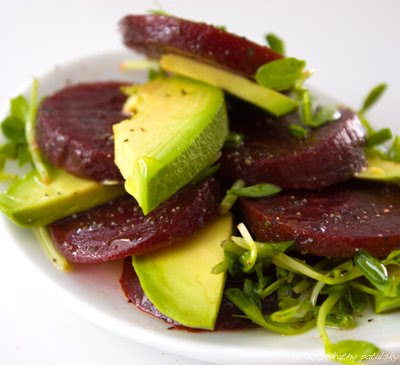 They are high in Vitamin C, A and folic acid. They are light, crispy and slightly zesty. Similar to sprouts and as versitile as parsley. Pea shoots have a firm crispy stalk that crunches into a sweet hydrating bite. 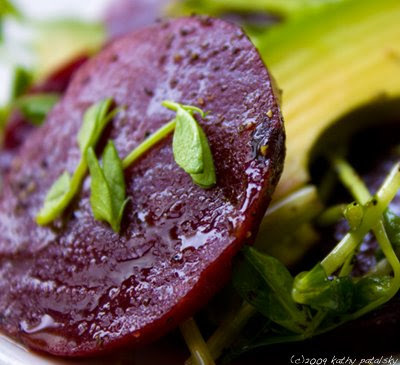 Beets are fabulous root veggies. They are incredibly sweet yet low in calories. 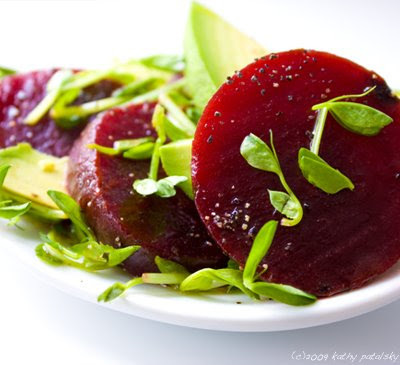 Read more about beet health facts here. 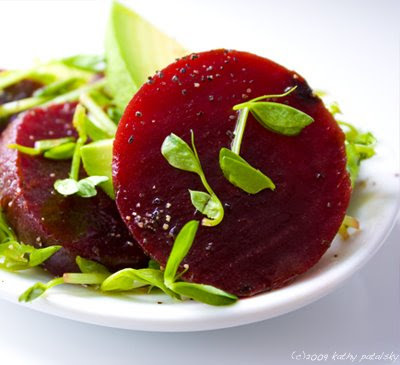 Beet red love. I fell in love with this simple recipe. I use those cute packaged, pre-cooked baby beets. Super simple. But you can also use two large beets and cook or roast them yourself. 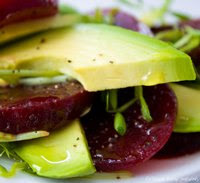 But I find that for a raw salad the baby beets are perfect. 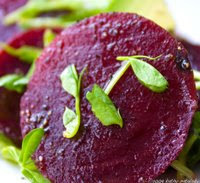 You can buy baby beets at Whole Foods or Trader Joe's and many specialty food stores. In the refrigerated section. 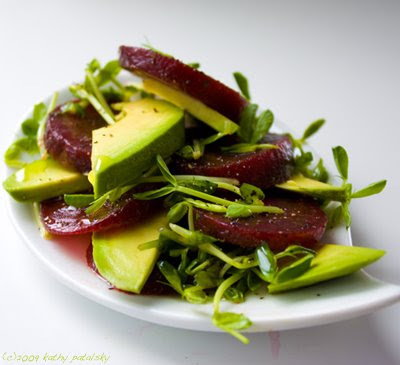 Such a refreshing salad appetizer. Looks very bright and pretty. And as I always say, salad first!